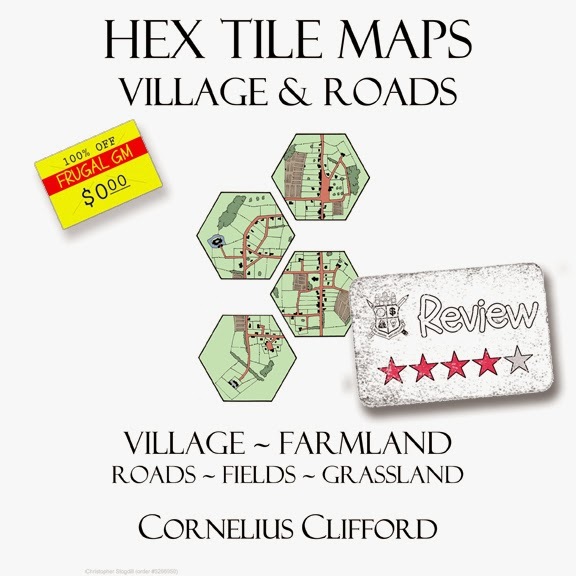 This review is for the free Hex Tile Maps: Village and Roads Pack from Dreamworlds. 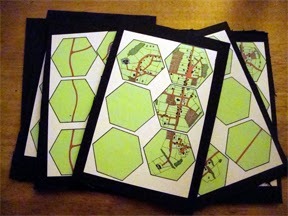 It is a representative example of their Hex Tile Maps line that costs between $1.99 and $6.99 (but most sets are $1.99). 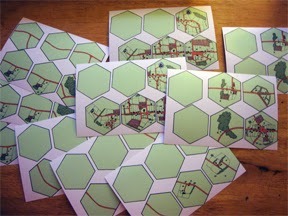 This particular set consists of 20 hexagonal tiles, 5 pages of 4 tiles each. The tiles are about four inches across. 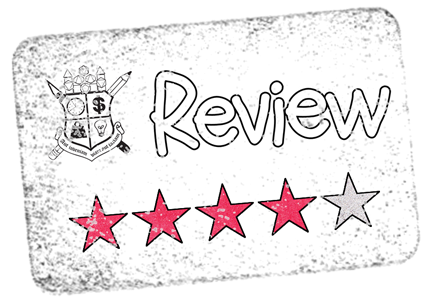 The pages are A4 sized, so you'll have to re-size them when printing. Since I was going to have to re-size them anyway, I decided to reduce them in size about 50% and print them 6 to a sheet on 4" x 6" photo paper at the local store. I was able to get a lot of these tiles made up for cheap this way. I spent less than $1.30 on a total of 60 printed tiles, which seemed pretty good to me. After mounting the pictures to some mat board I had I began the somewhat tedious process of cutting them out. Next time I think I'll mount them on a backing that is easier to cut out. If printing them "full-size" I think I'd maybe go with some magnetic sheeting or something already suitably thick. Realistically there are "only" 16 tiles in this set since one full page of tiles is blank. 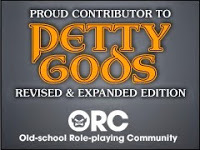 Of course, this isn't so much a stand-alone product, but a free addition to another set. The general idea is that these tiles are "random" and you can pretty much just put them together any which way to make a small village map. Most tiles of this nature are square, but Dreamworlds went with a hex shape. The big difference between using squares and hexes are, of course, the addition of two more sides. While this seems like a cool idea, in practice I think it detracts from the ability to easily create a random village. Most tiles have two or three roads that would connect to another tile. 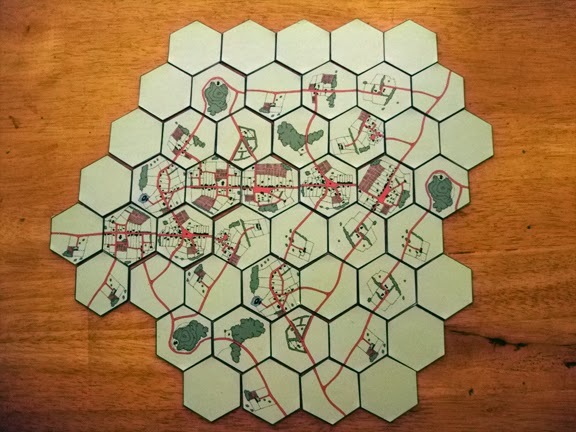 Two tiles have four roads connecting to other tiles. With six-sided tiles this means that only 1/3 to 1/2 of the sides have to match up to other tiles. When laying out the tiles this meant I was spending more time trying to place tiles like a puzzle than I was simply putting them down. Even though it seemed a bit "fiddly" to work with, I did enjoy the end result. A couple more tiles that had dead ends or more road connections would have been cool, but for the whopping $1.30 and supplies I already had......not complaining one bit. I might get one of the other sets and give it the same treatment. up with a quick village map. A few more tiles would really help round out this set. The 75 tile set that this is an expansion of is the most expensive of the set, but it is also the largest by far. PS. 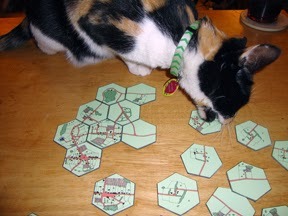 My cat liked them as well! Katie goes on a rampage.